When you are ready to start wiring your home, garage, shed, or barn, you first have to decide what type of wiring you will use to complete the job at hand. Some wire has its own sheath coating, requiring only that it be stapled to wall studs and joists to secure it. These types of wires are all enclosed in the same sheath but are not without danger of damage due to contact with anything that can cut into the plastic sheath and wires. For that reason, and where wiring needs to be protected from damage, there is another option. That option is single strands of electrical wire that can be pulled in metal conduit. These single strands can be added within the conduit so many wires are pulled from one electrical box to the next. Conduits come in styles from fairly strong construction to extremely rigid conduit that you could actually drive over without damaging it. You will have to choose the conduit that both satisfies your needs and is appropriate as per the National Electrical Code. Conduit comes in many styles and is used to run electrical wiring in exposed locations in and around your home. It may be a basement, garage, barn, laundry areas, and also exposed areas. Your home may have conduit run inside of the walls, giving you access to pull additional circuits through the existing conduit runs later on. Within the conduits, you can choose between a couple of different types of wiring. Stranded or solid wire is usually pulled through the conduit and is usually either THHN or THWN type wire. The size of the wire may vary, depending on the amount of amperage needed to supply the point you are feeding, and this ultimately determines the size of the conduit that you will need to install. PVC conduit is often used in underground and wet location applications. This type of conduit has its own PVC fittings, connectors, couplings, and elbows. They are easy to attach to one another with a cleaner and PVC glue. 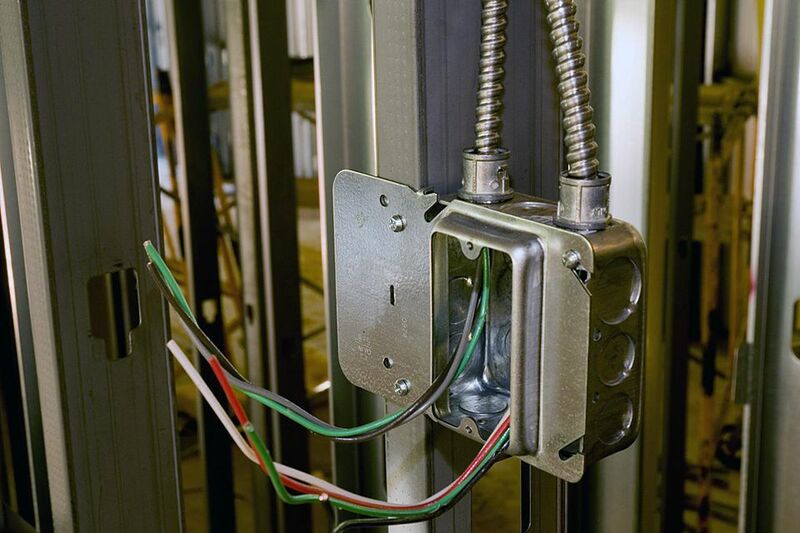 Since the PVC conduit is not conductive, you should always run a green ground wire in the conduit for proper grounding methods at connection points. Flexible metal conduit is great for areas that require tight bends and close quarters would make it difficult to bend regular conduit. Water heaters, can lights, and attic vents are great examples of typical flexible conduit installation. EMT conduit is lightweight, easy to bend, and is used within the walls. It also is easily damaged, unlike IMC or rigid conduit. IMC conduit is a thicker conduit that is galvanized, making it a great choice for outdoor installations. This is also a good choice for exposed walls in basements, garages, outbuildings, and areas the conduit can be hit or damaged. Rigid metal conduit is the thickest and heaviest of all. It can be used to run wires under driveways, service feeder installations, and other more extreme condition areas. Rigid conduit must be threaded on the end and is more expensive than the other conduits listed. Most utility companies like you to install rigid conduit as the service entrance piping to ensure the strongest and best installation that can protect the wiring and that will be able to withstand wind, falling branches, and storm damage. Most installations require the conduit to run through the roof for a secure installation. All the above-mentioned conduit types have a maximum allowable fill percentage.